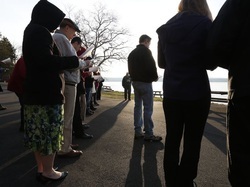 UPPER NYACK – The sun glistened over the Hudson River as a group of about 30 early morning worshippers gathered along the shore of Nyack Beach State Park on Sunday for an ecumenical Easter sunrise service. The crowd was led in prayer and celebration by the Rev. 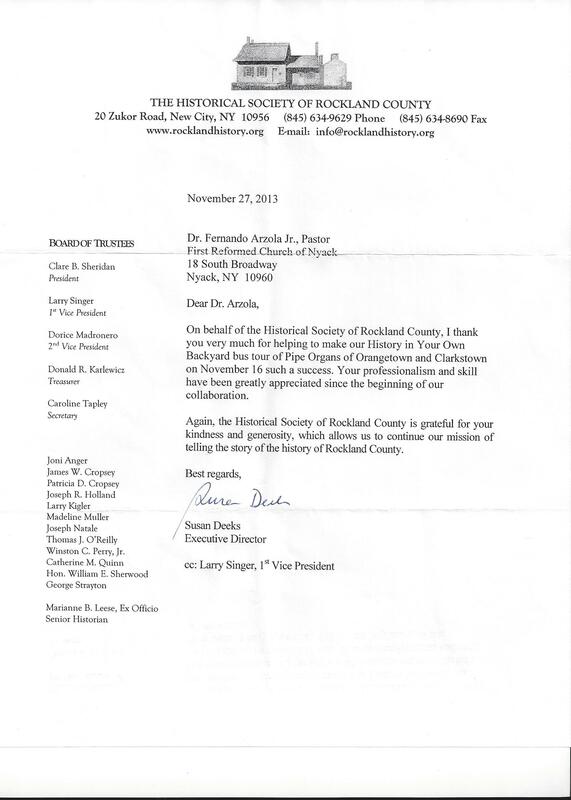 Fernando Arzola Jr., the pastor at First Reformed Church in Nyack. Dressed in a flowing black robe, Arzola chose for his reflection a passage from the Gospel of John in which Mary Magdalene stands outside Christ's tomb and cries. Two angels sitting there ask her, "Woman, why are you weeping?" Jesus then reveals himself to her. "Easter is a day that encourages us to keep going," Arzola said afterward. "It's a day of hope; it's a morning after. "Easter doesn't eliminate the pain of Good Friday, the suffering and struggles of our lives," he continued. "But Easter tells us there is light and that light will enter the darkness in the caves of our lives." As the sun rose over the Hudson after 7 a.m., the river itself seemed to stir from stillness into life. A few seagulls turned and wheeled amid the blue sky and wispy clouds above distant construction cranes and the Tappan Zee Bridge. Nearby, a small flock of geese glided across the water's surface as a slight breeze blew. 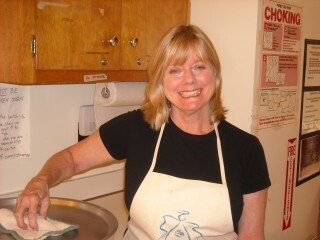 Despite the early hour, congregants greeted each other warmly — handshakes and smiles all around. They closed the brief service with a hymn "The Day of Resurrection." Easter is the holiest day of the Christian calendar and marks the day Christians believe Christ rose from the dead. For the faithful, it's a day for redemption and spiritual rebirth. "I'm feeling that renewal," said Luis Salcedo, 68, of Thiells, looking out over the water. 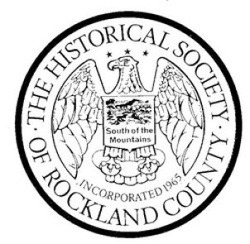 The First Reformed Church of Nyack has welcomed Easter outdoors at various sites for 85 years, including atop Hook Mountain. Last year's service was held about three miles away at Memorial Park while the beach remained closed due to Superstorm Sandy. 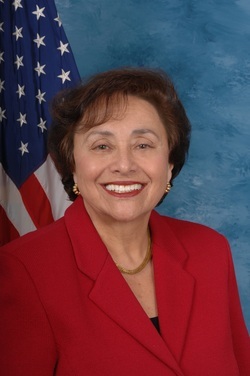 Ruth Francke, 88, of Park Ridge, N.J., has been attending the service with her family for 50 years. "It's like coming back home," she said. 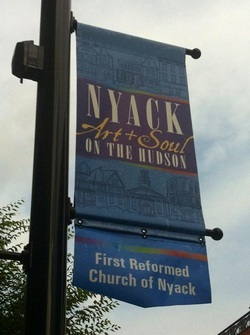 The First Reformed Church supports Nyack Art & Soul on the Hudson. 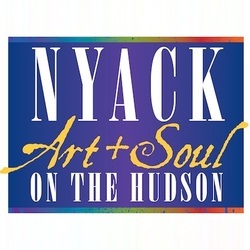 NYACK -- Enveloped in the stillness of dawn, a group of about 25 early rising worshippers gathered along the riverbank in Memorial Park for an ecumenical Easter sunrise service. It was organized by the historic First Reformed Church of Nyack, which has welcomed Easter outdoors at various sites for about 84 years. For the faithful, Easter is the holiest day of the Christian calendar. It marks the day Christians believe Christ rose from the dead. It's a time of renewal, reconciliation and messages of redemption. Indeed, as the sun rose through the light blue sky over the Hudson River shortly after 7 a.m., the area seemed to awaken with life. Sea gulls hovered overhead in the red-gold sunrise as a truck and traffic rumbled over a distant Tappan Zee Bridge. Nearby, on the beach, three or four fishermen cast their lines on the water's glowing, glassy surface. “There's a sense of renewed spirit,” said Kevin Graham, 53, of Nyack, who had come to the service with his daughter, Elise, 13, a student at Nyack Middle School. 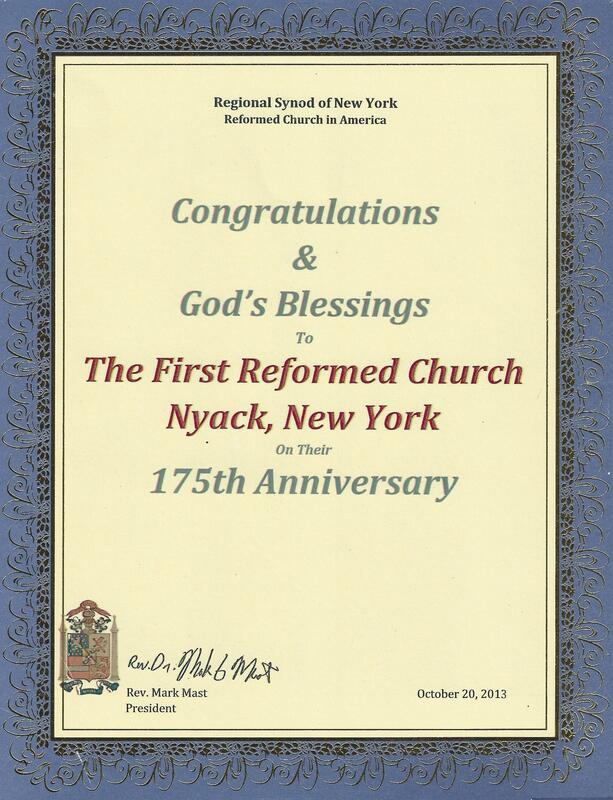 They were led in prayer by Fernando Arzola Jr., the newly appointed pastor at First Reformed Church and a dean at Nyack College. The message of Arzola’s reflection was taken from the Gospel of Luke, which describes a pair of angels appearing before Jesus' mother, Mary, and Mary Magdalene and telling them that Jesus had left his sepulcher and risen as he had promised. 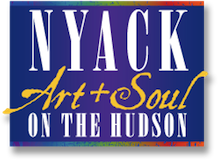 The service was moved from Nyack Beach State Park, which remains closed due to Superstorm Sandy, to Memorial Park. Participants said it was spiritually invigorating to have a gathering along the pebbly riverbank. The beautiful views only enhanced their Easter reflection. Margaret Francke-Olano, 49, of Pomona said her family has been going to the sunrise service for decades, including when it was held atop Hook Mountain. “The meaning of Christ's Resurrection doesn’t change,” she said.